This ain't no 'Rumor Mill' -- you want to know why?! 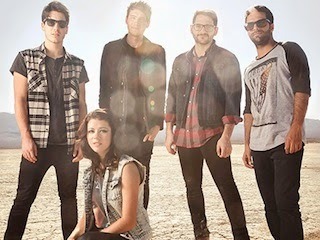 We Are The In Crowd have announced they are going to start writing and recording a new album in the coming months! Vocalist Tay Jardine broke the news through a new video update where she stated the band will be "spending a lot of this year writing and recording a brand new record." It's very possible We Are The In Crowd's third studio full-length will be released at some point in 2015 but nothing is set in stone at this stage.